Why do I need an attorney for a workers’ compensation injury? - Harrison White, P.C. Home » Worker's Compensation » Why do I need an attorney for a workers’ compensation injury? Why do I need an attorney for a workers’ compensation injury? Some people have family, friends or coworkers who have handled their own workers’ compensation claim, or perhaps have handled their own claim in the past. So why would an injured worker need an attorney? Many times, people may find that communicating with a workers compensation insurance company can be difficult for a variety of reasons. A good attorney, who is fortunate to have a good staff providing assistance, can generally be more effective than an injured worker in terms of communicating with insurance adjusters in an effort to get things done in a more timely fashion. Because a good attorney understands what injured workers are entitled to receive under the law, we can be sure injured workers are receiving all the benefits available to them. Are you able to get partial benefits when you return to work? Can a family member receive payment if they have to take care of you while you recover from an injury? Can you get a second opinion if your treatment doesn’t seem to be going as you hoped? These are all issues a good attorney should be able to answer for you as the case moves forward. Particularly in complex cases or cases involving more serious injury, lost time, etc., the workers compensation insurance company will hire or consult with an attorney. If the insurance company needs advice and assistance, it is understandable that an injured worker will need advice and assistance as well. A good attorney can protect an injured worker from being taken advantage of and can level the playing field when it comes time for settlement or trial. Ultimately, a good attorney can ensure that you are compensated fairly and completely under our laws. I often tell my clients: “Worrying and wondering is for people without an attorney. You have one, so use us!” By that I mean a good attorney will be available to address your questions and concerns so that you understand not only what is happening in your case, but why. Furthermore, a good attorney should handle your claim such that you can be assured everything was done properly and legally so there are no problems for you down the road. Peace of mind in something this important is big plus. We are fortunate at Harrison, White, Smith & Coggins, P.C. to have both experienced attorneys and an experienced staff to assist you with all your needs as it relates to your workers compensation claim. Please call 864-585-5100 or email Jeremy Dantin should you need any assistance with your claim or if there are any questions you may have – the call is free, and so is an initial meeting to talk things over. 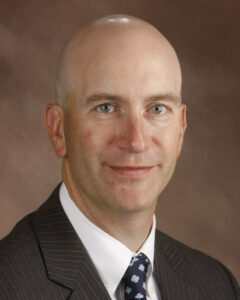 Jeremy Dantin’s practice focuses primarily on workers’ compensation matters. Jeremy has handled workers’ compensation cases all the way to the Court of Appeals and the Supreme Court of South Carolina, and he is a member of the Executive Committee of the Injured Workers Advocates, a nonprofit association of attorneys who are dedicated to protecting and advancing the rights and legal remedies for South Carolina workers who are victims of occupational injury or disease.